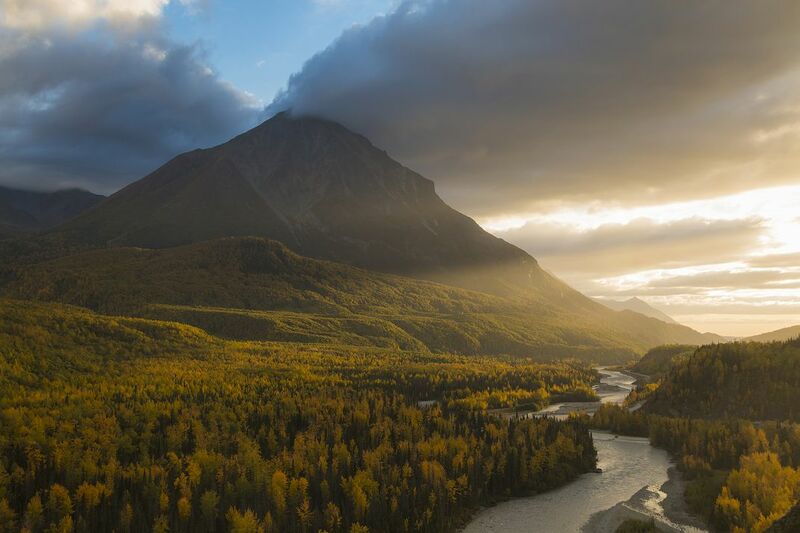 Autumn foliage arrives early in Alaska. This was in Matanuska River formed from the Matanuska Glacier with the Chugach Mountain range on the backdrop. Weather was gray and rainy most of the time , luckily the heavens cleared up and created this wonderful light illuminating the autumn trees as the day ends. Date Uploaded: Nov. 4, 2016, 1:59 a.m.